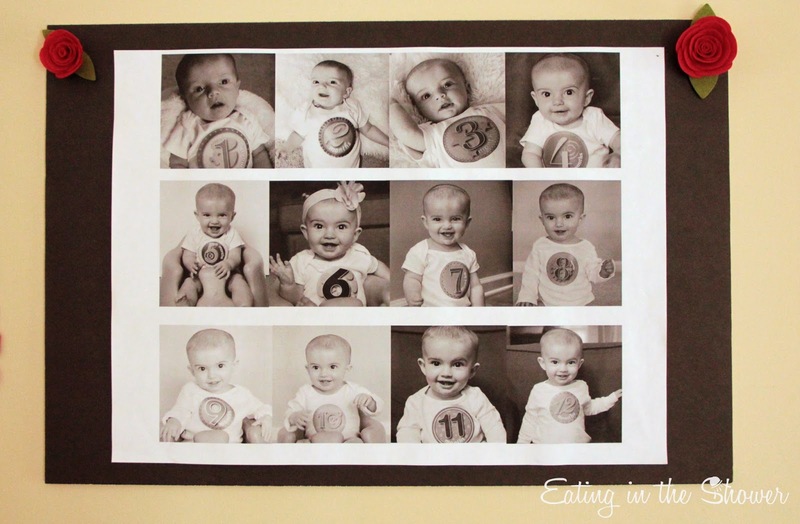 One of my favorite decorating touches at our daughter's first birthday party was the photo collage I made with engineering prints and poster board. Just as I did with my son, I took photos of her every month of her first year wearing numbered onesie stickers. 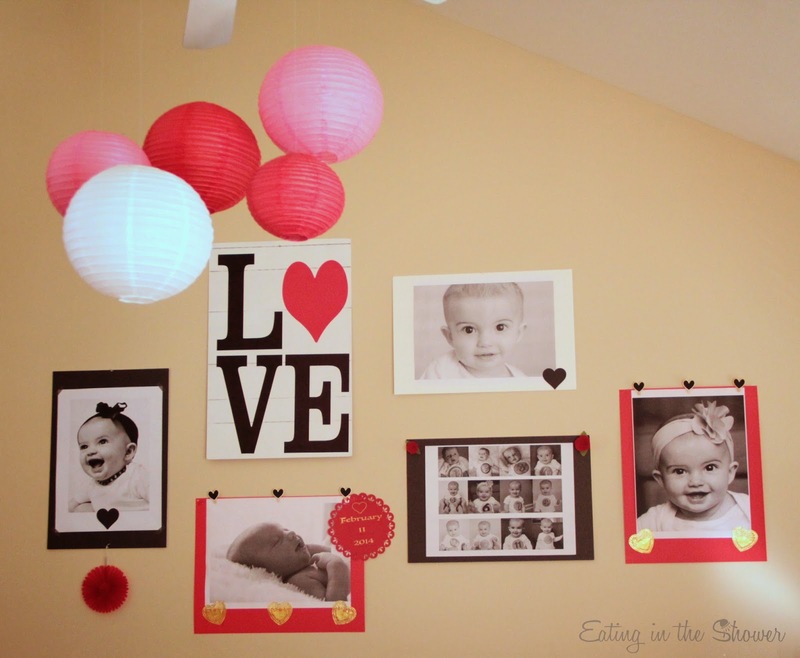 At my son's first birthday party, I hung a banner with his photos from each month. I knew that I wanted to do something similar for her party. Instead of a banner, I made a collage of the 12 photos with PicMonkey and then had a large engineering print of the collage made. Here is the engineering print of the photo collage on black poster board and on the wall. I used felt roses for some extra pops of red and to disguise the tacks that I hung the board with. 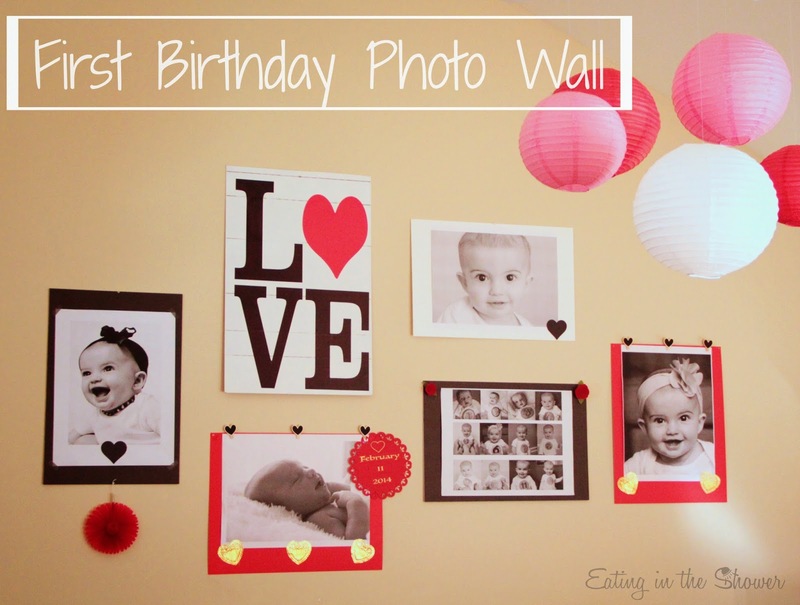 I loved the way it turned out so much, the was process so simple, and the cost so low, that I decided to choose several of my favorite photos of her from birth to a year and make prints of them to use at the party as well. A lot of people have asked me how and where I made the prints for the photo wall so I'm going to show you how I did it. I used Staples and was really happy with the quality and how fast they were done but you can do it at other copy/print/mail centers as well. 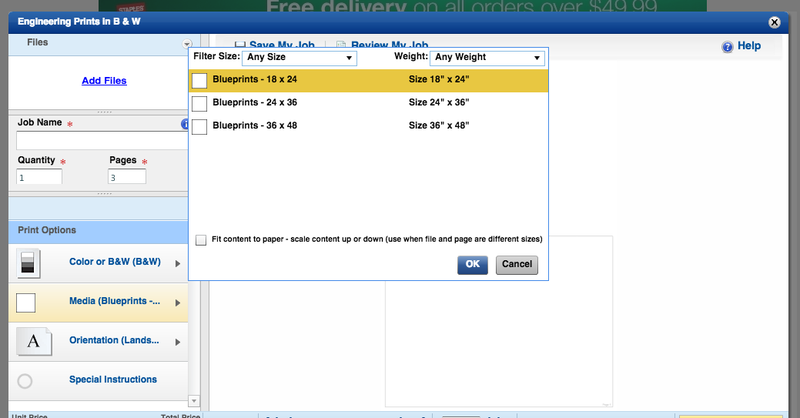 Follow these instructions if you want to do it using the Staples website. 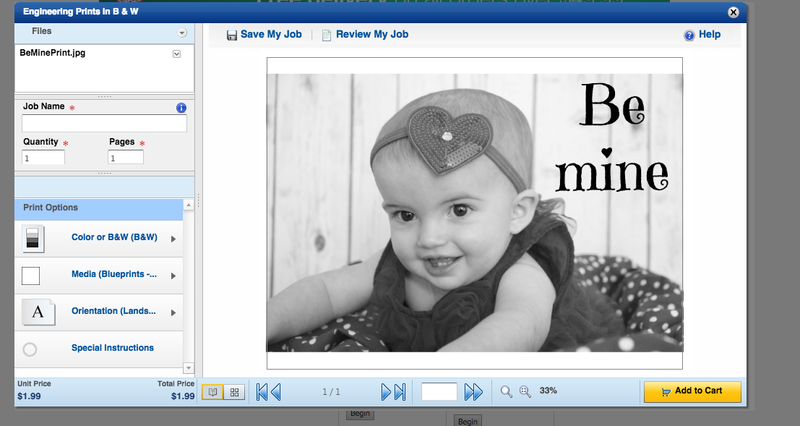 Click on 'Add Files' in the upper left corner and select a photo from your computer or disk that you want to print. This is the photo that I used to make a poster for the mantel. 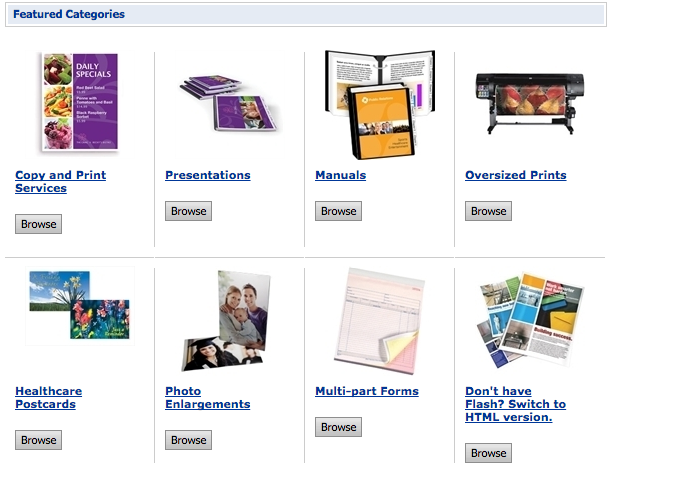 After previewing your photo, just add to your cart and order! All of mine were ready for me to pick them up within an hour. For the wall collage I used a combination of washi tape, heart clothespins, and clear tacks to affix my prints to poster boards. Because the paper for the prints is so thin, you might not want to use any kind of adhesive that could bleed through the paper and stain the photo. 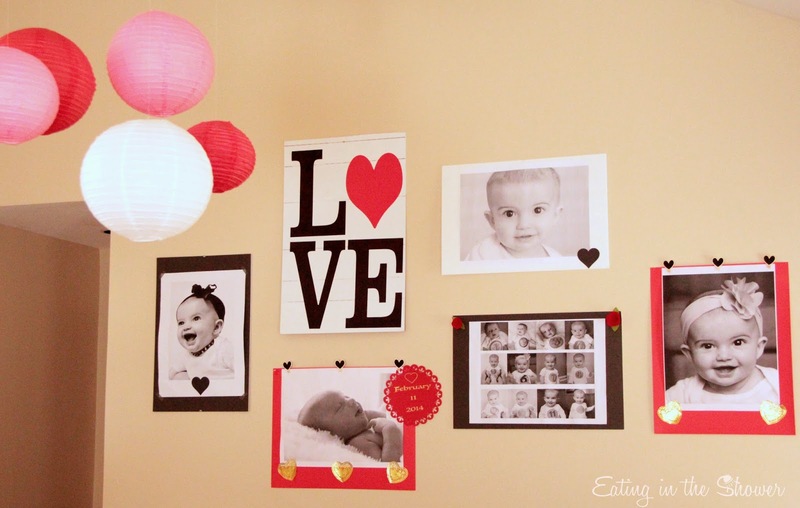 I hung the prints with a LOVE sign that I made out of leftover paneling and vinyl lettering and it made for such a sweet Valentine's Day first birthday photo wall. 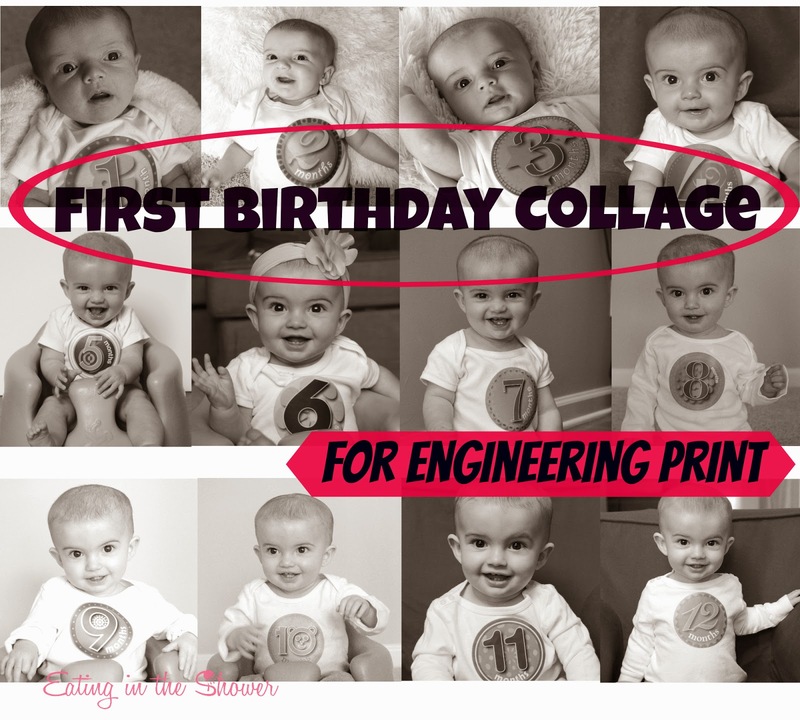 The engineering prints are perfect for a party decoration or something like a word art print but are not meant for high resolution photo printing. Photo canvases are still my favorite way to display my pictures. 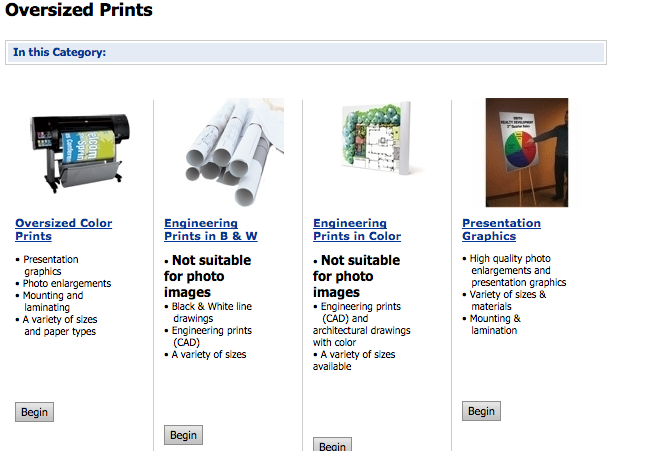 That said, I'm going to order one of these engineering prints before purchasing photo canvases in the future. Because it's difficult to visualize how a photo will look when it's really large, this is a perfect way to determine what will look good before paying big bucks for the canvas that can't be returned. Wow, these are just adorable ideas. So economic and easy!! I am a party planner and going to organize a birthday party at some domestic LA venues in the next week and would love to use this idea as my client has low budget for this party.